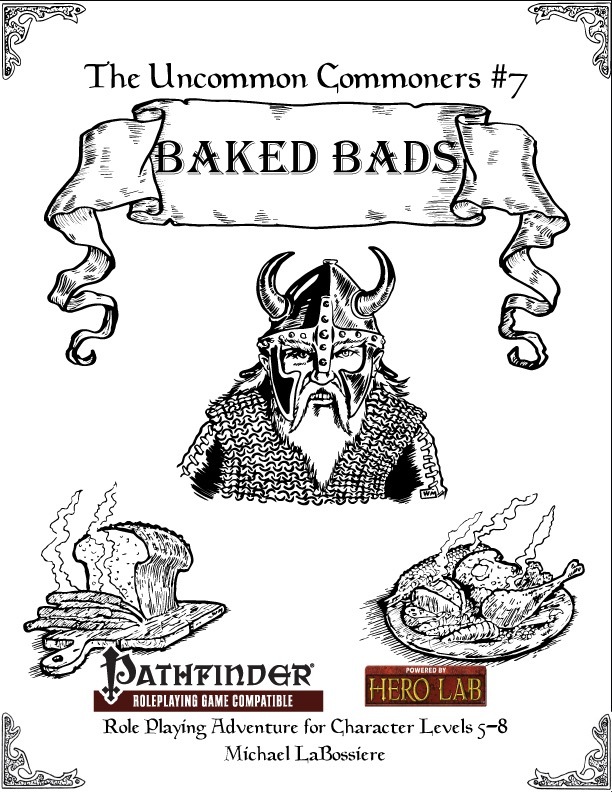 The Uncommon Commoners #6: Baked Bads is a Pathfinder Roleplaying Game compatible adventure. 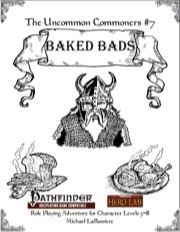 It is intended for a party of 6th-9th level uncommon commoner characters. While the adventure is written to be humorous and fairly light, it is also designed to be suitable for serious game play. New Magic Items (Chug Mug, Dwarven Cook Book Eternal Wood, Eternal Wood Torch, Iron Axe Crown, and Tankard of Baccarus).